Product prices and availability are accurate as of 2019-04-09 22:41:06 EDT and are subject to change. Any price and availability information displayed on http://www.amazon.com/ at the time of purchase will apply to the purchase of this product. 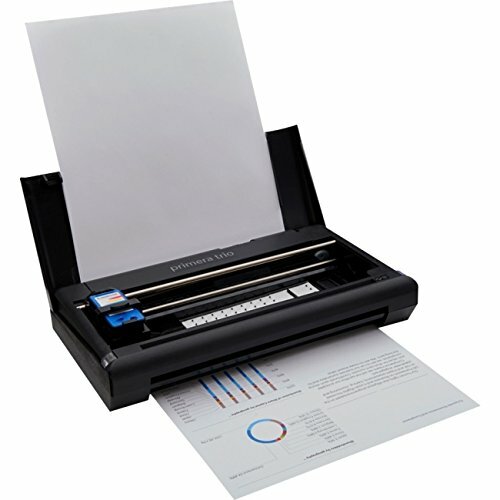 Printing on the go just got practical! The book-sized, 2.6 lb. Primera Trio is the world's smallest and lightest all-in-one printer, copier and scanner. 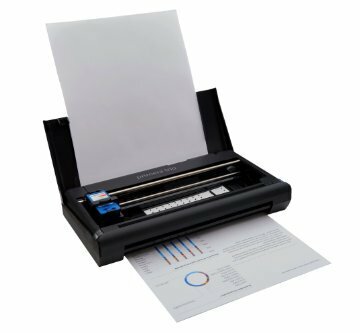 Use it on the road - whether you're a business traveler, service technician, insurance agent or more - or in tight spaces like dorm rooms, home offices, small apartments and retail counters. Small enough to fit in a briefcase, backpack or purse.